Keeping curls healthy is a lot of work. Taking care of your curls is a daily task, and it can feel daunting. Here are some tips you can use to help keep your curls looking, feeling, and behaving wonderfully. 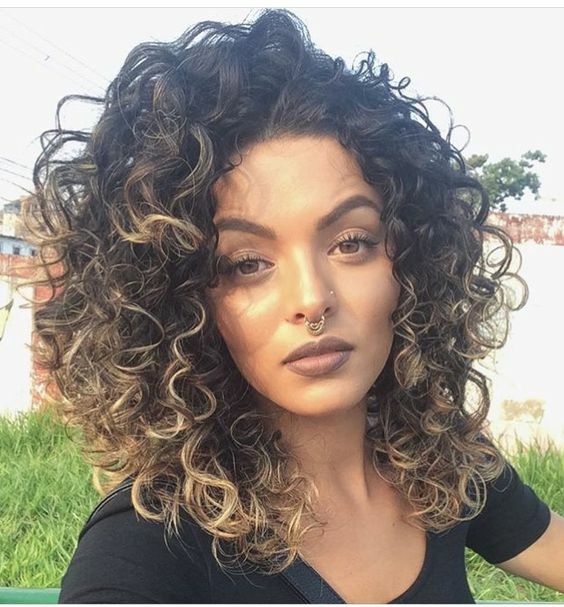 Your curls are most likely dry and might even be prone to frizz. It's hard for your hair's natural oils to work their way down your hair shaft, so you need to help them out. So at least every other day you need to moisturize your curls. You can do this by using a leave in conditioner, a curl refreshing spray, or even just spritzing them with water. This will help minimize frizz, keep your curls in shape, and maintain softness. While shampooing your curls weekly isn't recommended, you can cowash to help keep build up from forming on your scalp. Before you cowash, make sure you pre-poo with an oil to help keep moisture in your strands. Prior to washing, you can dampen your curls and use a conditioner to create slip, which will allow you to safely detangle your curls. Use a wide toothed comb or your fingers to work through individual knots. After you cowash, follow up with a conditioner or deep conditioning treatment. After you've cleansed your curls, follow up with a leave in conditioner to replace any lost moisture. Your curls are going to need an extra boost every month to help them maintain their shape and strength. This can include a protein mask to help repair any damage and help curls grow stronger. You can also utilize a deep conditioning treatment, which will help restore any lost moisture, manage frizz and add back in shine. This is a great opportunity to use your favorite store bought product or you can even create your own hair care mask with ingredients found right in your kitchen.